Railroads Scale in a Post Deployment PTC World? All this additional hardware, systems, and infrastructure needs to be maintained. In addition, no system, especially a system as complex as this, works without issues from the get go. The maintenance and human capital required to support PTC is tremendous. Calculated to cost up to $22.5bn during the next 20 years2, PTC is the single-largest regulatory expenditure ever imposed on the industry by the Federal Railroad Administration (FRA), according to the Association of American Railroads (AAR). This economic burden will have tremendous effects across the entire supply chain lifecycle and affect every American household. Railroads haul roughly 35% of all U.S. exports and just about anything in your home likely rode the rails at one point in time3. Regardless of the costs and challenges associated with PTC, there is no relief from the ever-increasing pressure of wall street analysts to continuously reduce the operating ratio of the business. To continue doing so, railroad executives will have to find new innovative ways outside of the traditional “concrete and iron” approach and tap into new digital solutions to mitigate these effects and become more efficient. We are in the midst of the “coming of age” for Artificial Intelligence (AI) and Machine Learning (ML). AI/ML is bringing to fruition capabilities like autonomous cars and AI personal assistants, and for the railroads, this could not have happened at a more opportune time. The notion of utilizing AI/ML to mitigate the challenges and impact of PTC is a compelling one. One major advantageous consequence of PTC is the massive collection of data that is normalized across all the railroads. In a system of systems, troubleshooting issues can often seem impossible and more like guess work. Utilizing AI/ML based guided repair algorithms, the time it takes to troubleshoot and fix issues that have similar symptoms could be dramatically reduced. Furthermore, leveraging AI/ML for root cause classification can help reduce the time it takes to triage enforcement events and more importantly drive action to prevent it from happening again. Implementing a complex system like PTC does not happen overnight, and while default maintenance strategies replace oldest equipment first, there are other factors such as environment to consider. With AI/ML, remaining useful life models can be developed that take into account the impact of the equipment’s environment so that an intelligent maintenance strategy can be deployed. In addition, with access to new never previously available data sources consistent across such a large population, predictive analytics and data driven optimizations can become the normal mode of operation and perhaps turn PTC into a positive ROI. It is important to note that AI/ML is not here to replace workers, but instead to augment them with human-in-the-loop workflows allowing railroads to streamline operations and mitigate the resource and economic burdens of PTC while continuing to improve the ever so critical operation ratio. PTC is designed to make rail transportation, which is already one of the safest U.S. industries, even safer. However, that increase comes at a cost with meaningful consequences, that AI/ML technologies could help offset. For AI and machine learning to be viable solutions, their benefits must go beyond simply providing data - you need to know what to do next. 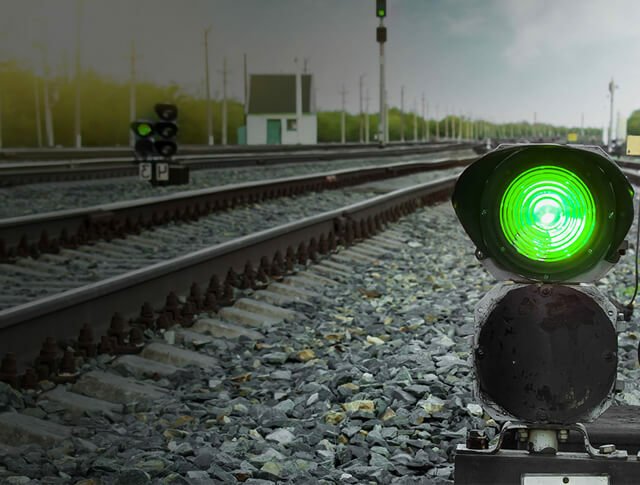 By empowering AI and machine learning algorithms to help employees gain key insights, the rail industry can simultaneously upscale its workforce, meet the PTC standard requirements, and potentially offset the billions in investment over the next 20 years.